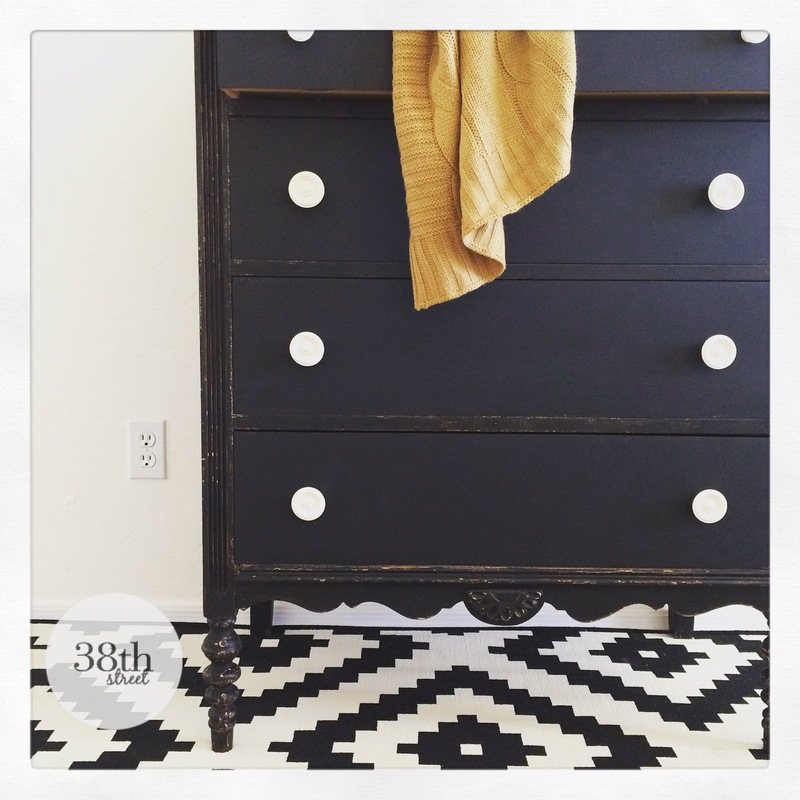 **This project was sponsored by The Old Fashioned Milk Paint Co. However, the opinions and thoughts expressed within this post are 100% my own. It's a brand new month. Do you know what that means? We are rocking and rolling our way into another Fab Furniture Flippin' Contest. Are you ready to see which contestants will have their game face on? Curious to learn more about our WONDERFUL sponsor for June? Interested in finding out the details of this months GRAND PRIZE? Dear Fabulously Talented Winner whom I have yet to meet... you are in for a treat! 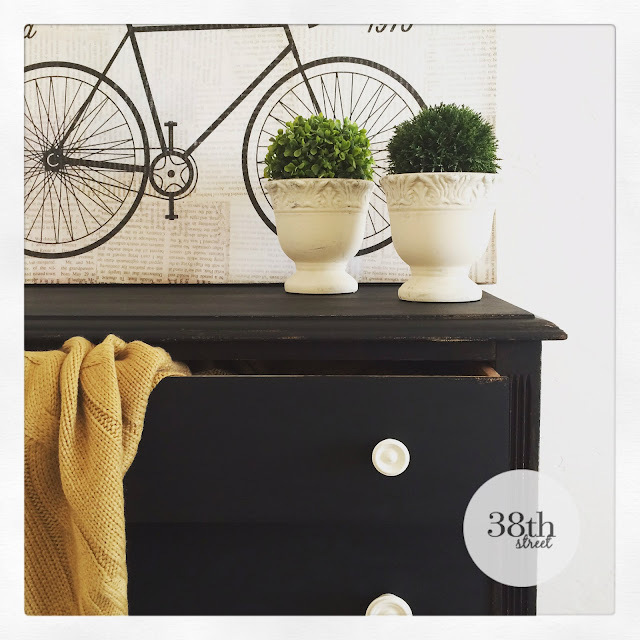 June 2015 Theme: "Shabby Chic Storage"
If you were the winner, what in the world would YOU create with all of these FABULOUS OFMP products? Which Milk Paint colors would you select? 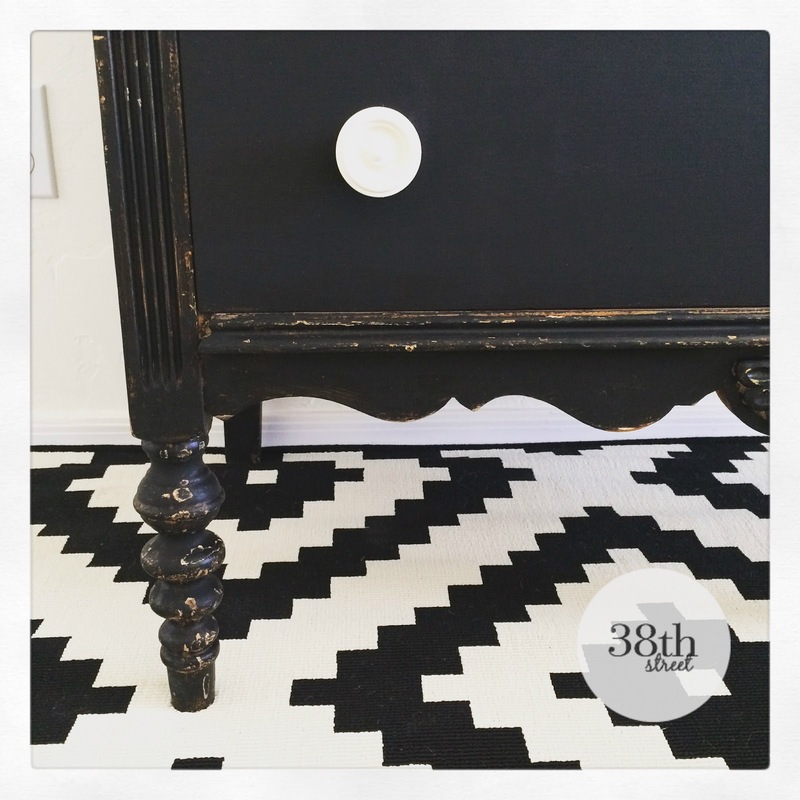 Can I help you visualize what a refinished piece would look like in Pitch Black? 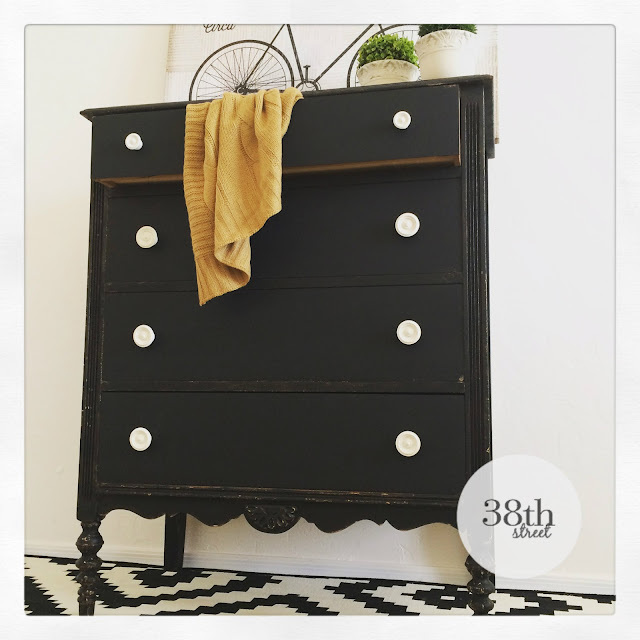 In the spirit of our June Theme, "Shabby Chic Storage" I hand selected this particular old and worn dresser because she possessed four deep drawers, had beautiful details and exquisite knobby legs. Here she is getting a quick and light sanding in the garage. 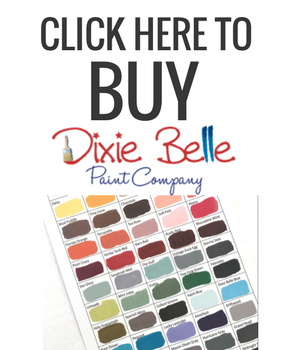 All those in favor of a new paint color, say "I"? 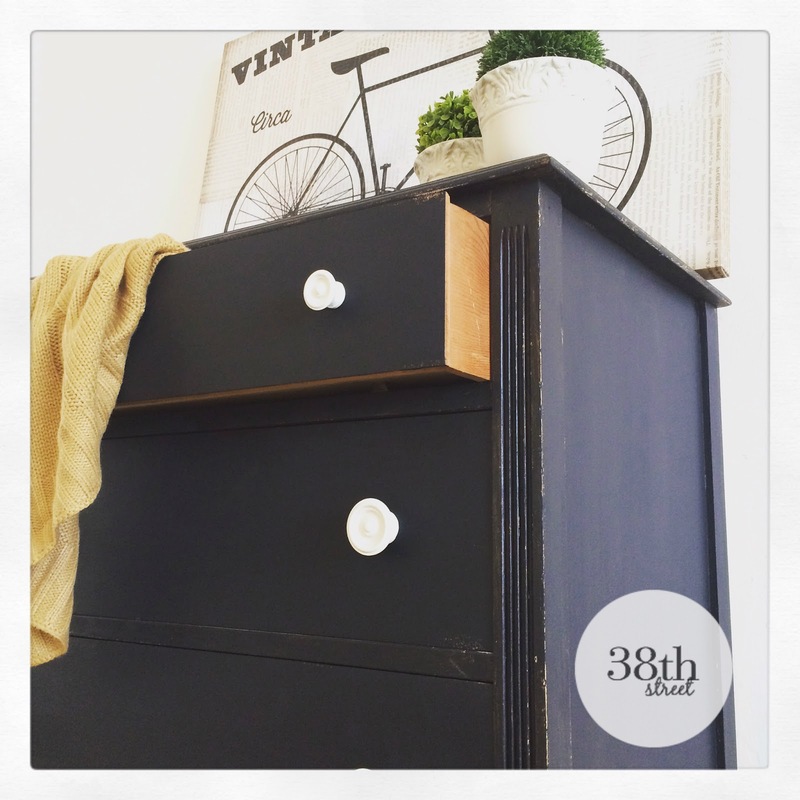 This was my first experience using Old Fashioned Milk Paint and I'm not going to lie, I was a little nervous to try it. But, do you know what I would tell my older self after knowing what I know now? Don't you dare spend another minute fretting. It's a cinch to mix and it's even easier to apply... You can do this! You've got this! And, it's going to turn out great! 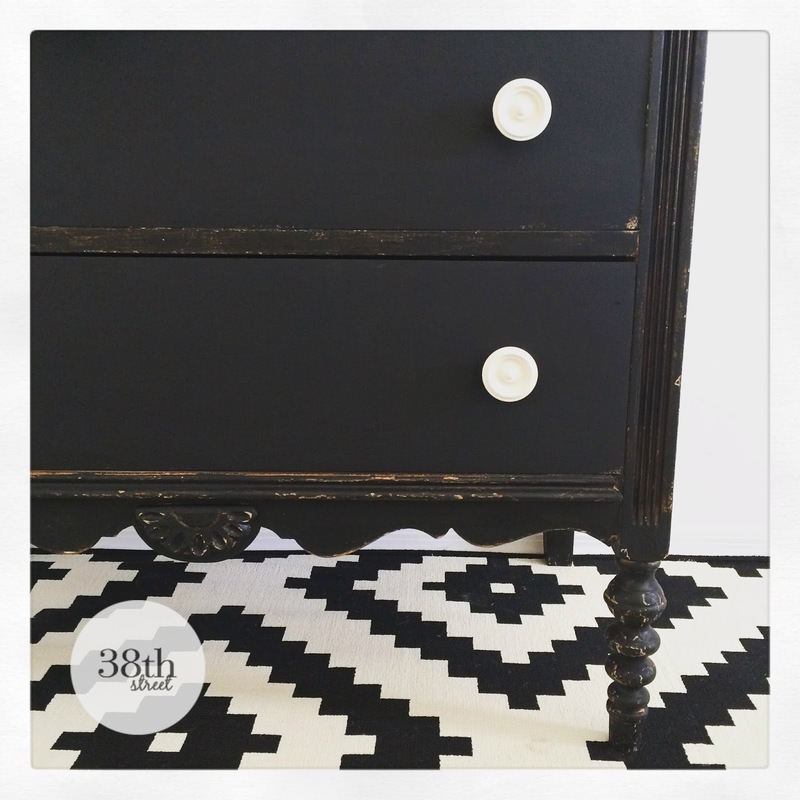 After I sanded the dresser, I moved it inside to paint. For this project, I mixed together 1 cup of Old Fashioned Milk Paint in Pitch Black with 1 cup of warm water. After it was mixed well, I added 1 cup of Extra Bond to the paint to encourage adhesion. Using Extra Bond gives YOU the chance to control how chippy you want a piece to be. 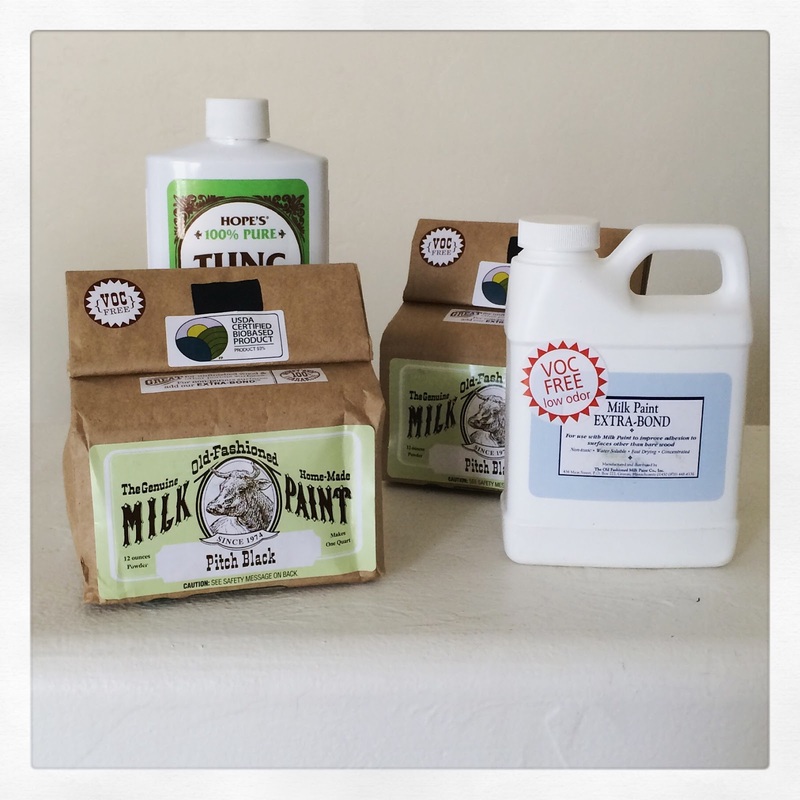 I absolutely LOVE that OFMP is non-toxic and completely environmentally safe. There were no odors while I mixed and applied the paint indoors and it gave me the loveliest coverage on the FIRST coat! (I still had more then 1/4 of my mixed paint left when my project was finished. A little bit goes a long way!) 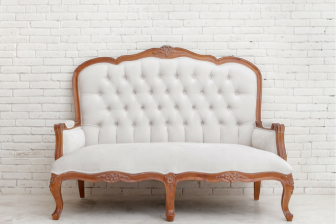 I'm so impressed with the safe flexibility that OFMP provides... You can paint walls, children's furniture and toys and it's 100% naturally safe! 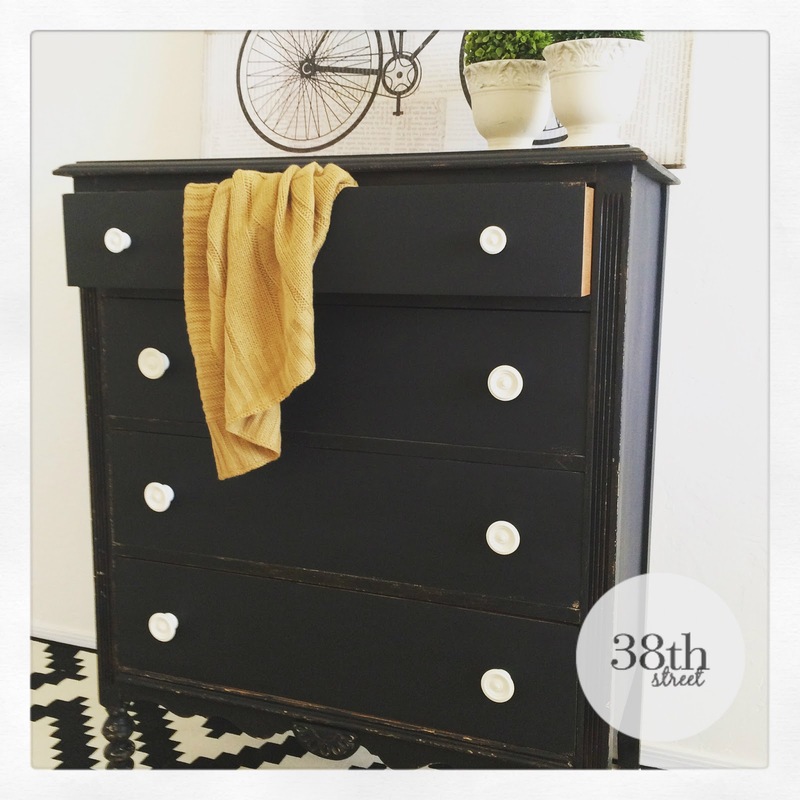 Wouldn't she make a stylish storage solution for an entry way, bathroom, extra bedroom or office? What else you can do with OFMP? Hop on over to see what my co-host, Charlotte from Ciburbanity as well as the rest of our talented hosts have cooked up and prepare to have your socks knocked off! This contest is officially open! Those bloggers that belong to the group and have signed up for June, feel free to link up on any of the hosts' blogs!... I cannot wait to see what YOU create! Carrie I absolutely love this. 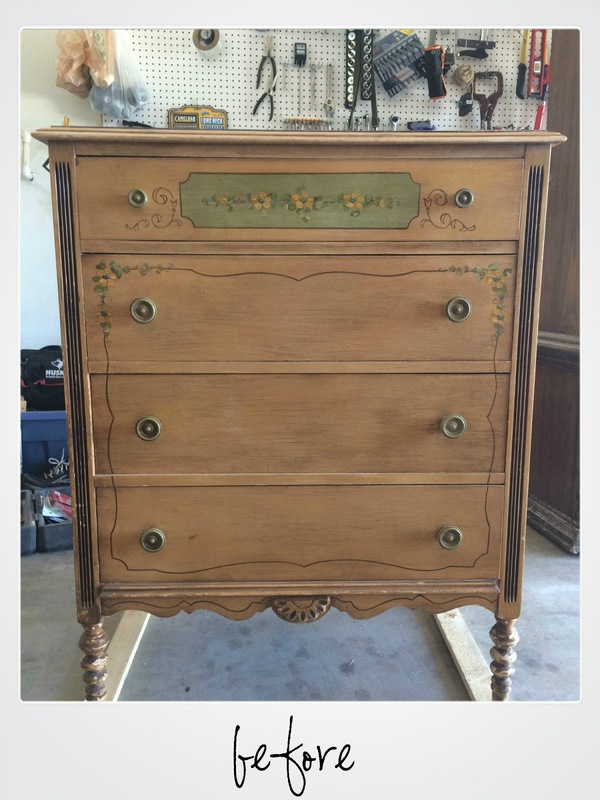 I love how the distressing looks like it's been there forever! OH MY! I will take it. 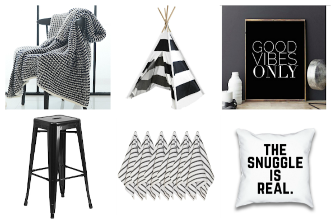 Totally in love with this...I have a thing for black and white. Your staging is perfecto. The makeover looks great. The distressing is such a beautiful touch. Pinned and Tweeted. Thanks for sharing your amazing transformations with us at Snickerdoodle Sunday. Thank you for sharing it, Beverly! 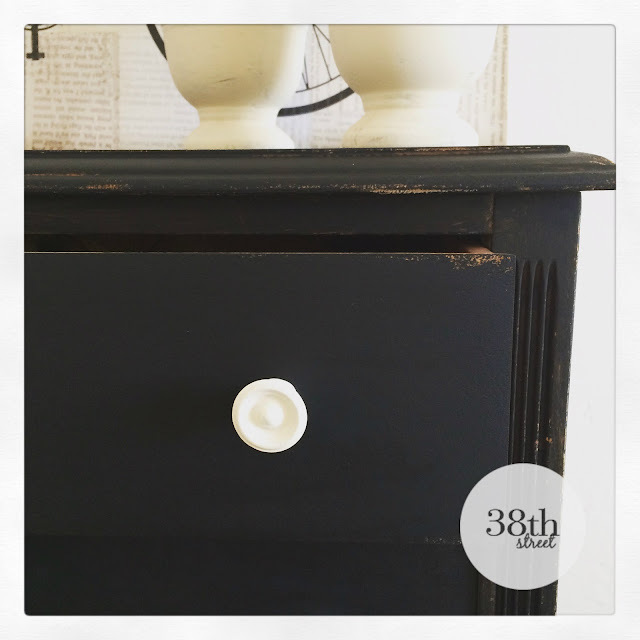 Beautiful makeover - just the perfect amount of distressing. I love how you staged it for the photos too. Crushing on that bicycle print above it! Looks fabulous! Love how you distressed it! Looks so well done and like this beautiful piece of furniture has been like this for a very long time. Great work! 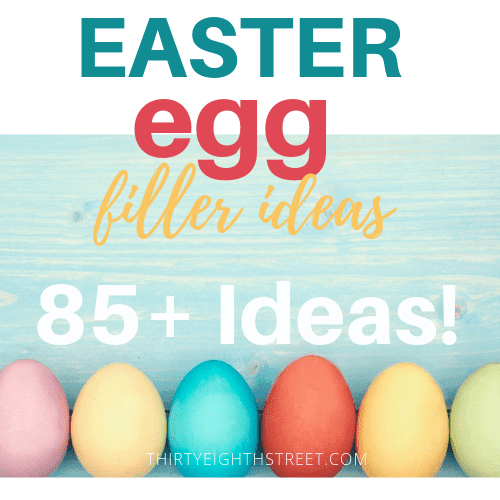 Thanks for linking up at The Creative Corner Link Up. 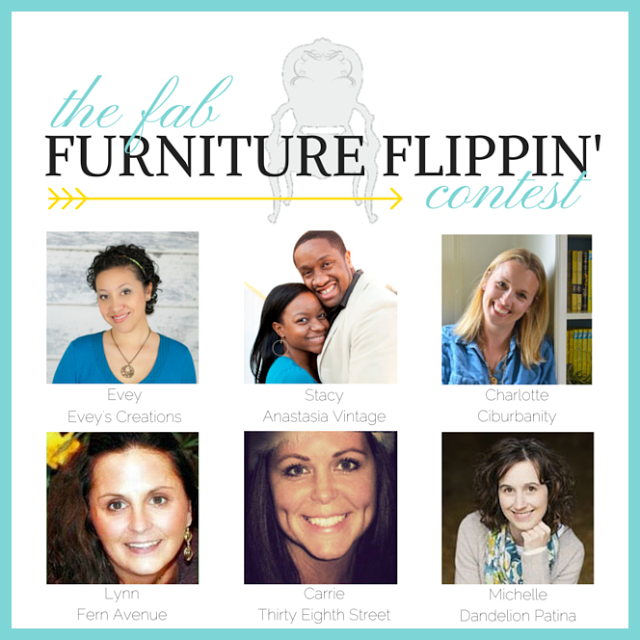 I'm a new host and can't wait to see what fabulousness you link up next week! Maria! Thank you for taking the time to leave such a nice compliment! Looking forward to linking up again! 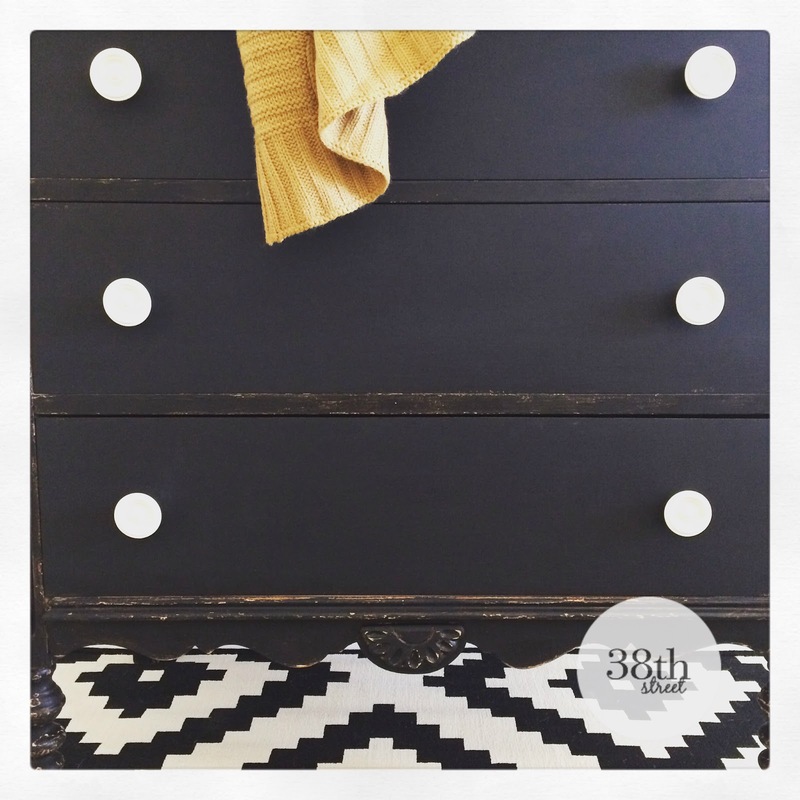 Thanks so much for sharing our dresser! This is a gorgeous transformation! 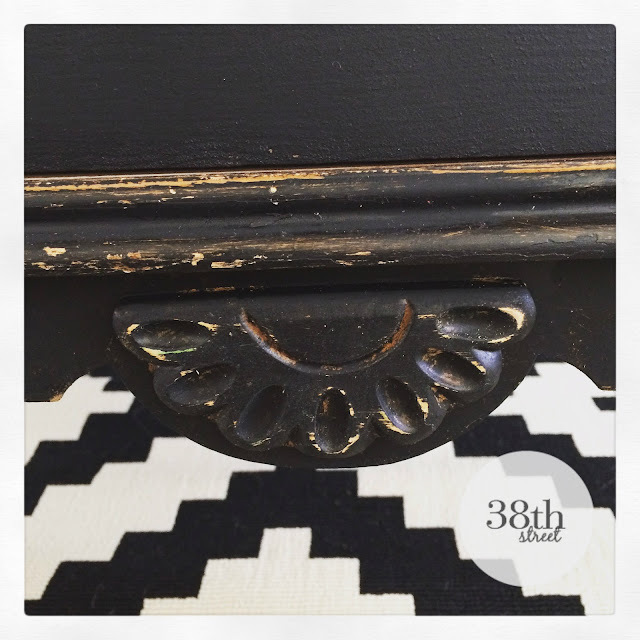 I would never have thought to paint it black, but I absolutely love it. What an incredible transformation! 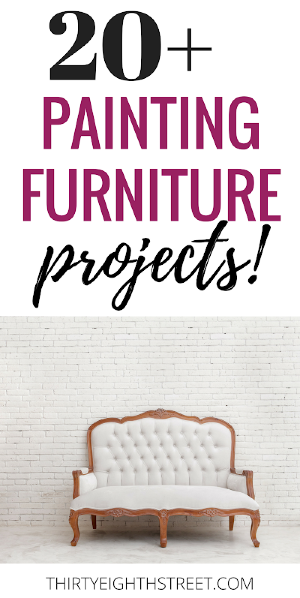 I'd love if you'd share this makeover (or any of your favourite projects) at our link party, Create • Share • Inspire, every Thursday at 8:00 PM to Sunday at 8:00 PM. Thank you for sharing this, Kimberly! Hi. Just letting you know that your lovely dresser is featured at Two Uses Tuesday! 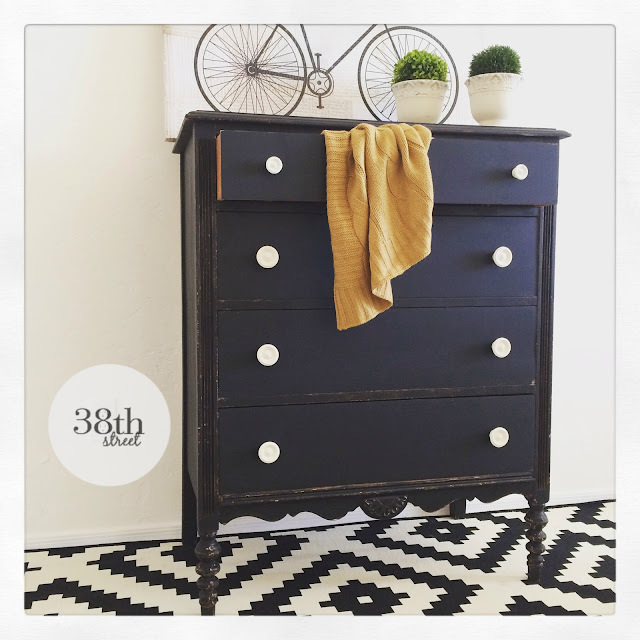 Oh I just love dressers and this one is charming! Featured at Be Inspired this morning. Thanks so much for sharing Carrie! Wow! Thank you for featuring both of them! You made my day, Sharon! Thanks so much, Iris... glad you liked it! Have a great weekend! I haven't used chalk paint and I am seeing my mistake in not trying it. The Marissa dresser is lovely, the perfect amount of chippiness and age. Love it. I'm wondering if it would would on my kitchen cabinets? I love the old and the modern mixed, this would give a bit of age to our newly built home. Love it! 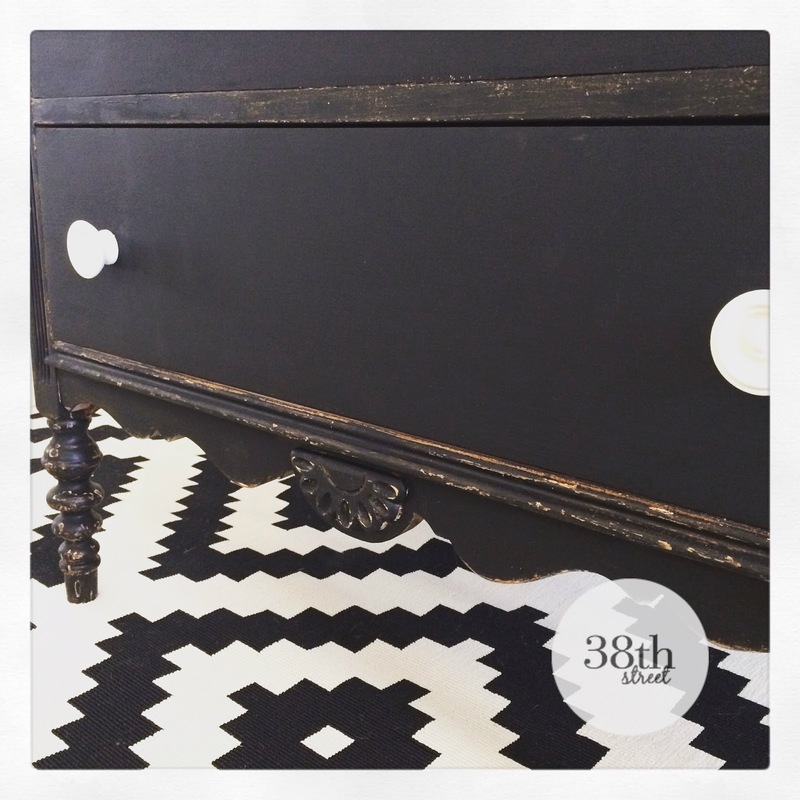 Oh Nikki, you've got to try chalk paint... I promise you you'll love it! 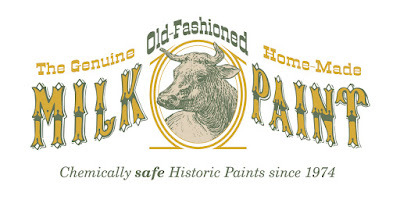 I've never heard of milk paint before, but sounds pretty interesting. Might need to give it a try some time! Once again, stunning!! This transformation is absolutely jaw-dropping, and I am definitely on the lookout for a dresser to use this color on. Sooo gorgeous! Black is bold. :) Thank you! Thank you, Anna! Doesn't a little paint go a long way!? What a difference some paint can make. I love the contrast with those knobs. Thanks for posting. Hello from Inspire Me Wednesday. 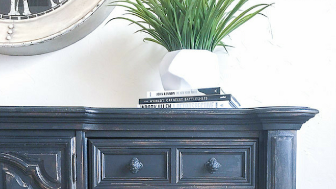 Carrie, I love your dresser makeover - your distressing is spot on! 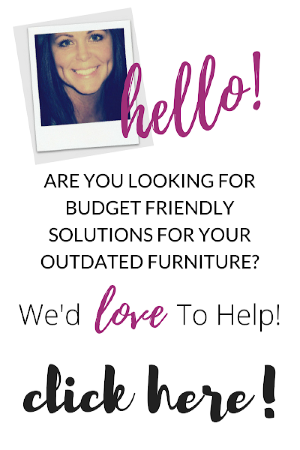 I would love to feature it on my 2nd blog DIY Furniture Makeovers (http://diyfurnituremakeovers.com). Let me know if that's alright. Thank you!